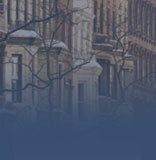 Omni Mortgage Co., Inc. offers a variety of loan programs to meet your needs. We work with the leading lenders in the industry to provide customized loans to accomodate your budget. Contact us for more information about how we can assist you. Disclaimer: Unless otherwise indicated, these APR calculations are based on the following: Conforming loans (whose maximum loan amount is below $417,000 for the contiguous states, District of Columbia, and Puerto Rico or below $625,500 for Alaska, Guam, Hawaii and the Virgin Islands) are calculated based on a loan amount of $417,000 with closing costs of $8,340. Jumbo Loans (whose maximum loan amount exceed $417,000 for the contiguous states, District of Columbia, and Puerto Rico or exceed $625,500 for Alaska, Guam, Hawaii and the Virgin Islands) are calculated based on a loan amount of $1,000,000 with closing costs of $20,000. Your actual APR may be different depending upon these factors.